01182013_Becherer_IraqMedical027: Doctors of War: Casualties of War: Global News Portfolio: New Orleans based Photojournalist covering the Deep South and beyond. 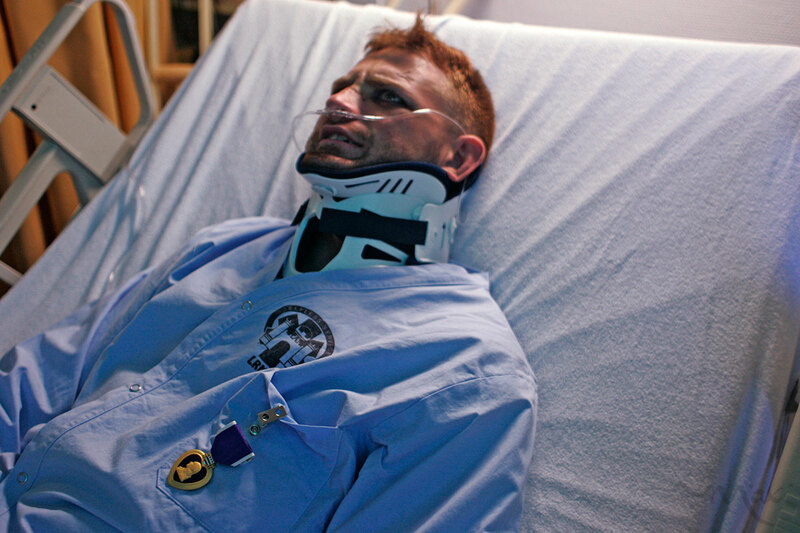 After receiving a Purple Heart from Major General McCarthy a wounded soldier recounts the attack that resulted in his wounds in Afghanistan at Landstuhl Regional Medical Center in Germany. The quick medical transportation system is efficient at treating physical wounds but the mental trauma suffered will take longer to treat.